In a recent study, Steve Voelker, an assistant professor in Plant, Soils, and Climate at Utah State University, and his team sampled redwood tree rings. The median age of their samples was over 1000 years old. “They’re one of the most difficult species to work with because they have so many rings that’s what we call missing. In some years, they just don’t grow a ring. So they’re actually older than a ring count would establish,” Voelker said. To supplement for missing years, scientists measured ring widths and chemical compositions such as carbon and oxygen isotopes. 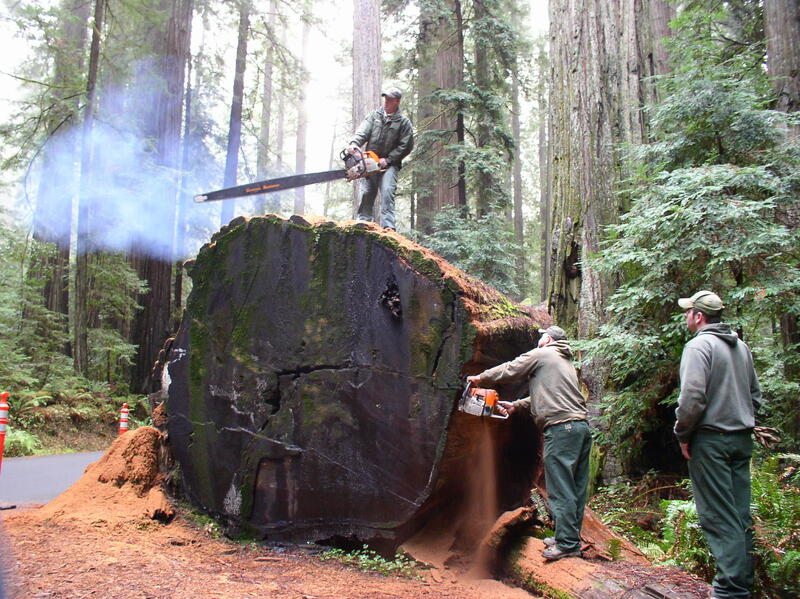 “What that allows us to do is peer back in time and look at what the physiology of the redwoods trees was during particular years” Voelker said. This data informs not just how tree growth patterns are changing, but also how climate is changing across the US. “In Utah a wet year is usually a nice big ring and dry year is a nice small ring. In those coastal locations that are cool and wet all the time we needed to use those isotopes because we didn’t have that basic growth climate relationship to rely on” Voelker said. Because of their longevity, Redwoods allow researchers to discover that climate variability is more pronounced than it was a couple hundred years ago. “Climate variability and this isotopic variability in the tree rings that record that, it’s ramping up and we haven’t seen that for 800 to 1000 years and that suggests that if our earth keeps warming up in the way that atmospheric and climate scientists project that we will see greater summer climate variability and greater winter climate variability” Voelker said.